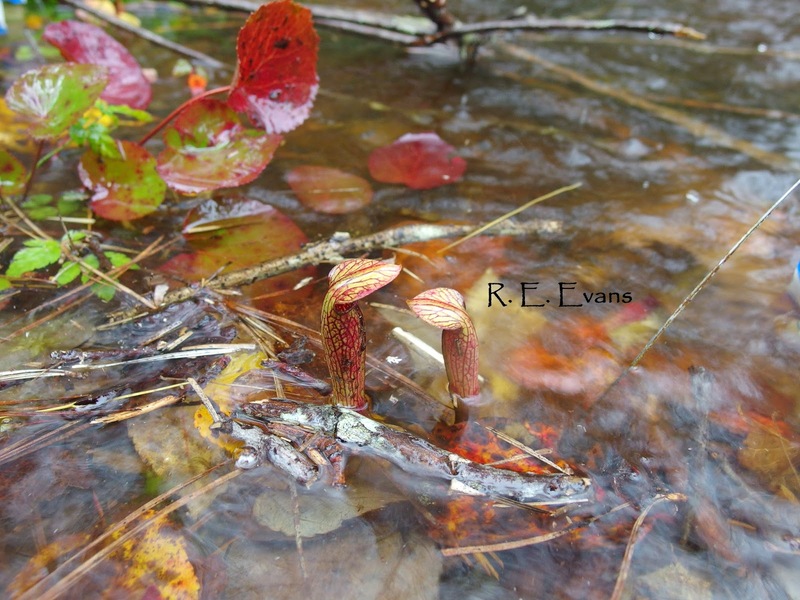 Bottom Image: Purple Mountain Pitcher (Sarracenia purpurea var. 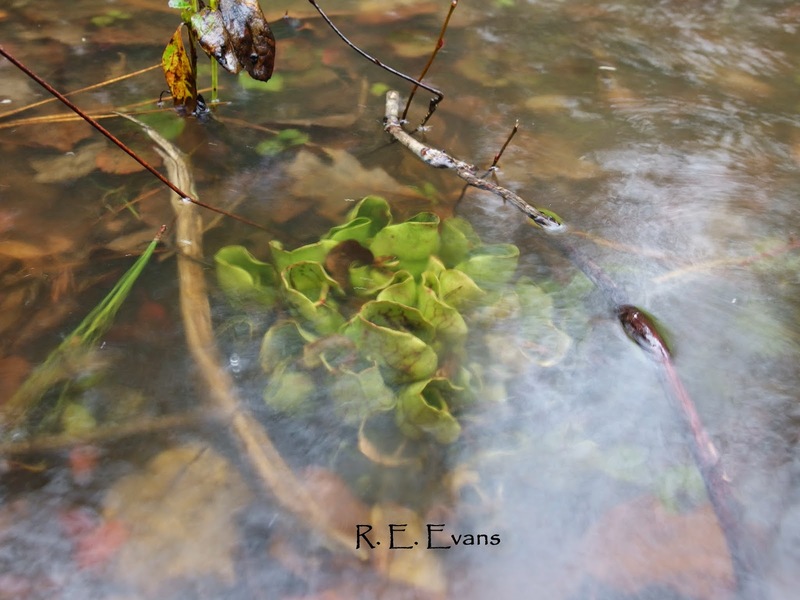 montana) , Large rosette completely submerged by flowing water.. Both images taken October, 14, 2014. 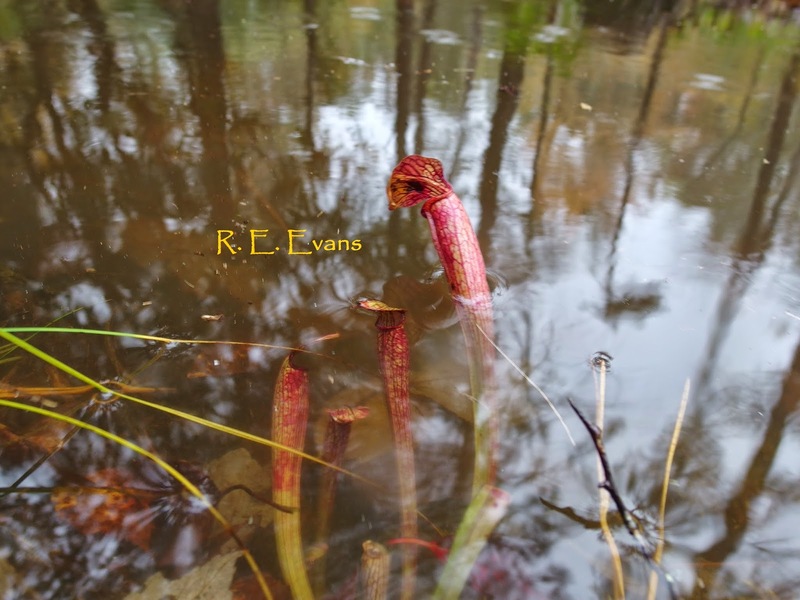 Previous posts have introduced these Pitcher Plants, which occur on frequently saturated "boggy" substrate. I imagine they are rarely submerged, however, these images document this can happen. 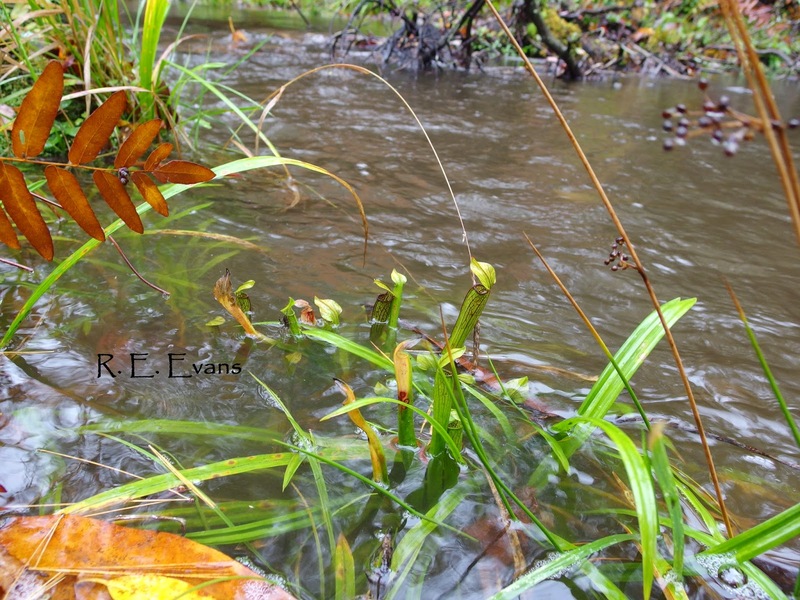 This Fall (October 2014), the site experienced a heavy rainfall (approximately 6"), causing an adjacent stream to spill over its banks and directly impact some individuals of both species. Surface water levels receded quickly and the next day there was no standing water remaining. Both are important conservation targets due to their localized distributions, restricted habitat, very limited numbers of known populations and inherent risk for extirpation. Gaining a better understanding of the hydrology of occupied and historic sites may help us determine ways to permanently protect, and ultimately increase the populations.